As anyone who has slept in the same room with someone who snores knows, any device that stops snoring is invaluable. Obstructed nasal airways due to allergies, sinus infection, deviated septum, or nasal polyps. Poor muscle tone in the tongue or throat – this allows the tongue and throat to collapse in on themselves and block the airway. Bulky throat tissue due to excess weight or large tonsils and adenoid glands. Long uvula or soft palate – If these structures are larger than average, they can obstruct the airway. Many people snore when sleeping on their backs. The jaw and tongue are relaxed and fall into the back of the throat, thus obstructing the airway. Anti-Snoring pillows aim to correct one of the main causes of snoring – a blocked airway. These pillows are designed in a way to keep your airways open and are ergonomically shaped to promote a comfortable sleeping position. 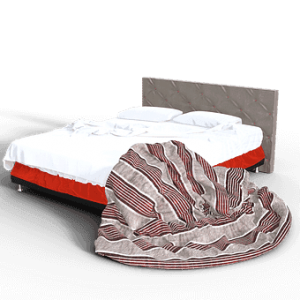 The general aim is to help the snorer sleep on their side, and to keep them sleeping on their side – this is the sleep position that most discourages snoring. Manufacturers often get creative in this competitive area. A slight tilt back of your head has also been proven to open the lower airways. This mirrors a common technique used in CPR called the “head tilt, chin lift”. In a clinical study conducted in 2014 at the University ENT Clinic in Mannheim, Germany, results demonstrated that every participant experienced a significant reduction in snoring duration when using a smart inflating pillow to alter the participants’ head position. The anti-snoring pillow used in the study was gentle enough not to awaken the subjects or disturb their sleep. Although different anti-snoring pillows position the head and neck in a variety of ways, they all work on the same principle – positioning or moving, the head and neck in such a way as to keep the tongue and jaw forward to open the airway. Side sleeping pillow – A side-sleeping pillow slightly elevates the head to reduce snoring. Some side sleeping pillows have slots to accommodate people who like to sleep with their arm under the pillow. Wedge shaped pillow – A wedge-shaped pillow looks like a right triangle. It is a firm pillow that allows you to sleep in an elevated position and is also recommended for use by people who suffer from gastrointestinal reflux. Sleeping in an elevated position causes your tongue and jaw to move forward which opens the airway and alleviates snoring. 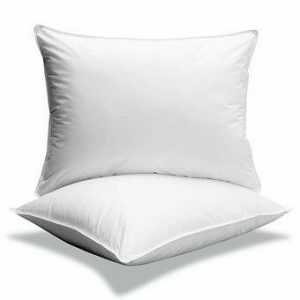 Cervical pillow – A cervical pillow is also known as an orthopedic pillow. It provides neck support to keep the airway opened when you sleep on your back. This positions your head in the same way that we are taught to administer cardiopulmonary resuscitation (CPR), by tilting the head back and lifting the chin. Full body pillow – Full body pillows might help snorers sleep comfortably on their side which is a better position to prevent snoring. Smart pillows – There are a few entrants into the market that can only be described as “smart pillows.” These pillows monitor the sounds you make during the night via a Bluetooth device. When the microphone detects snoring, it activates air chambers located in the pillow that gently inflates or deflates, almost imperceptibly, changing the position of the snorer’s head. This, stimulates the throat and tongue muscles to stop snoring. One of these pillows even generates sleep data so the user can see their snoring activity over time. Users with mild to moderate snoring will benefit the most, and snoring may be decreased by up to 70% with the correct pillow. Most manufacturers offer a 30-day or 60-day warranty in which buyers can test the pillow, and return for a refund if not satisfied. Interruptions of breathing which can last up to several minutes. Light sleeping, which interferes with your normal sleep pattern, reducing the amount of time you spend in deep, restorative sleep. Frequent waking up, which contributes to poor sleep. Heart strain, which can result in higher blood pressure and can lead to higher risk of stroke or heart attack. Repeated bad night’s sleep which can interfere with your concentration and put you at higher risk for all kinds of accidents. Finding ways to eliminate or alleviate snoring can be beneficial to both you and your sleep partner. Just make sure your snoring is not a symptom of sleep apnea. Sleep apnea is one of the most common sleep disorders, and its main symptom is snoring. Some anti-snoring devices may only mask this symptom, so before you invest in anti-snoring devices, talk to your doctor. Sleep apnea can be indicative of more serious medical conditions. Addressing sleep apnea will not only help you stop snoring, but it will make you healthier overall!